Who doesn’t love getting a box of surprises every month? I certainly do. And what better way to spoil a cat lady than with a monthly box full of cat lady items. Last month’s “CRAZY CatLadyBox” had a cooking theme – Cats in the Kitchen – which was perfect for November, considering many people spent a lot of time in the kitchen for Thanksgiving. Each CatLadyBox comes with a featured artist postcard. 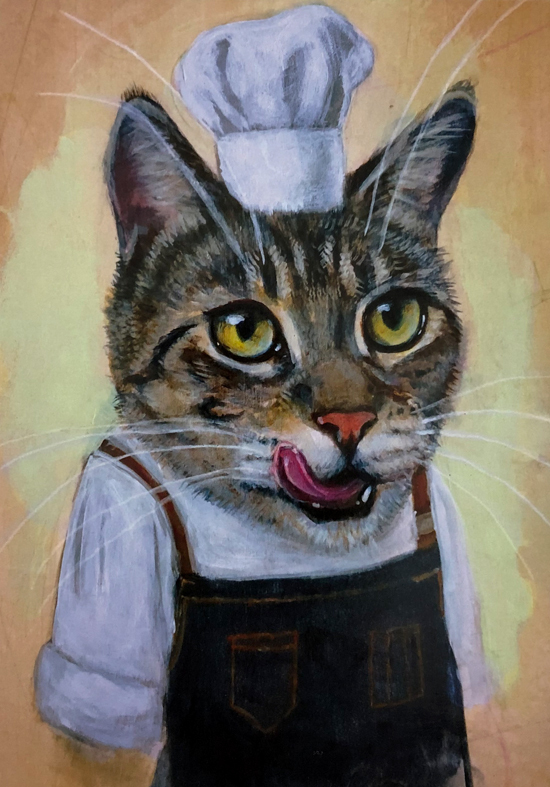 November’s postcard was titled “Pesto Dreams of Sushi” – by artist Amy Payne. 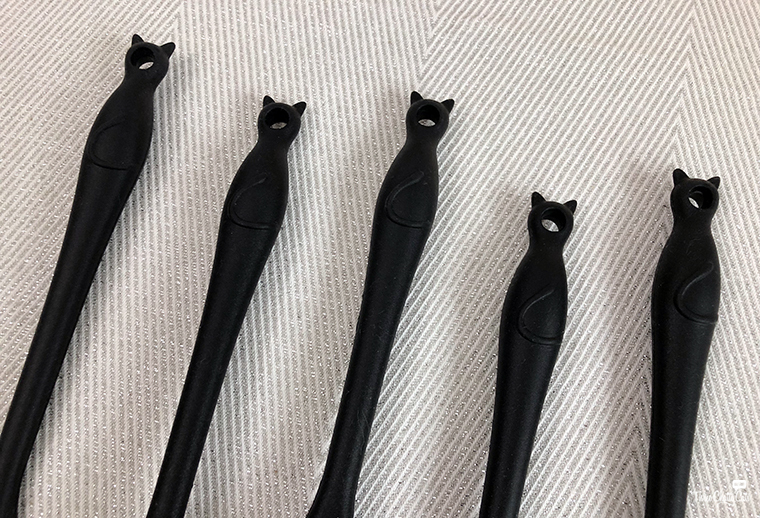 …the handles are shaped like cat heads! Next up, a cat-shaped spoon rest. Very cute! And perfect for resting those cat-themed cooking utensils on. 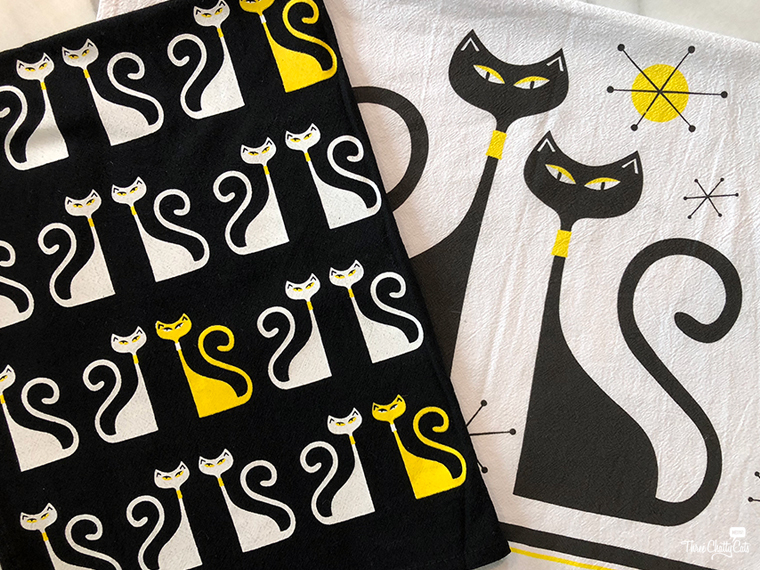 Moving right along to clean-up duties…with these fun dish towels. 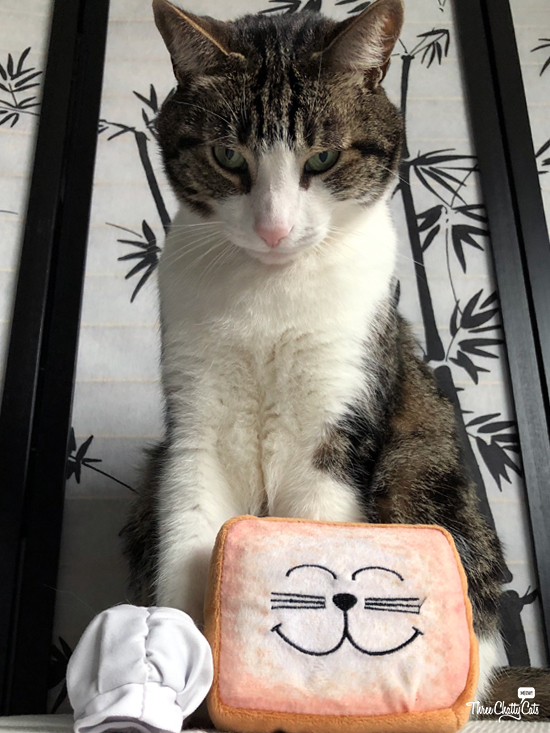 And rounding out the November box are two catnip toys – a bread slice and a chef’s hat, as shown so nicely here by Sophie. Mama: Hold still. I want to get a shot of you with the cat toys. Woodrow: I would rather be playing with them. Woodrow: Mama!!! No more, I’m done! CatLadyBox has two levels of subscription boxes you can choose from. The regular “CatLadyBox” option includes three to four items for cat ladies and is $34.99 per month. While the “CRAZY CatLadyBox” includes the same three to four cat lady items, but it also includes two goodies for your cat. This box is $39.99 per month. Note that plans do renew automatically, but you may cancel your renewal at any time. CatLadyBox has sent everything from stylish sunglasses and adorable shirts to fun jewelry and cute home décor. You can browse their online shop to see what has been included in past boxes and purchase one-off items as well. Or, you can sign up for your own monthly subscription box at catladybox.com. 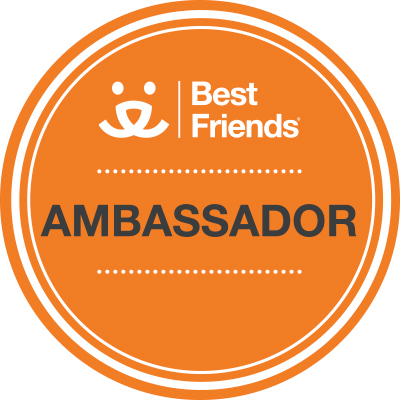 What’s great is that CatLadyBox is a company that gives back, and they have a program called CatLadyBox Cares. 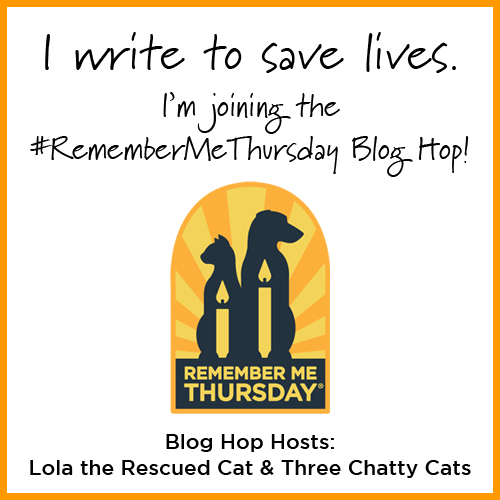 Each week, CatLadyBox chooses a rescue organization to help. 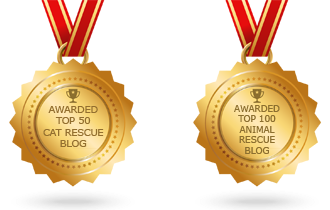 Usually, they send a $200 cash donation so the chosen rescue can best apply it to their current needs. They also send along some CatLadyBox toys for the kitties waiting for their forever homes. You can follow along on Instagram by searching hashtag “catladyboxcares” to see each week’s donation. 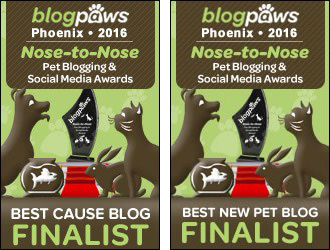 Keep up with CatLadyBox on Facebook, Instagram and Twitter! Now, on to the giveaway! 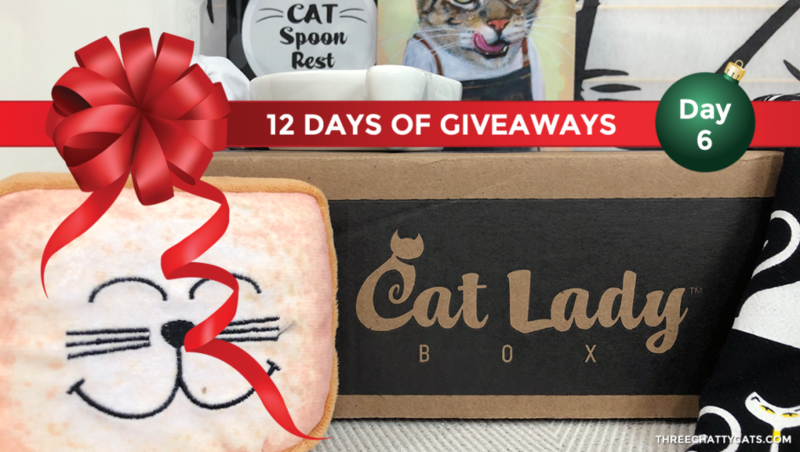 CatLadyBox is allowing us to give away one “CRAZY CatLadyBox” to one lucky winner (one box only). It will be a surprise as to which month’s box the winner will receive. After all, the mystery is half the fun! 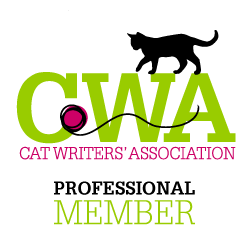 Simply enter a blog comment below and then enter the giveaway through Rafflecopter. And guess what, cat ladies! This giveaway is open to the U.S., Canada and the U.K. (details below)! The giveaway is open to residents who reside in the United States, Canada and the United Kingdom, 18+ years of age, except where prohibited by law. One winner will be selected randomly by Rafflecopter and contacted via email. The winner will have 48 hours to claim their prize. Failure to do so will result in forfeiture of the prize, and a new winner will be randomly selected by Rafflecopter. The giveaway closes on Tuesday, December 11, 2018 at 5:00pm Pacific. Which November CatLadyBox item did you like best? Don’t worry. Woodrow got to play with the toys. 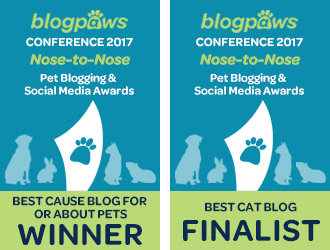 Next Chatty Cats: Roaring, Judging and More! I is such a fab idea, we love it!!! I like the dish towel the most. What a great graphic! 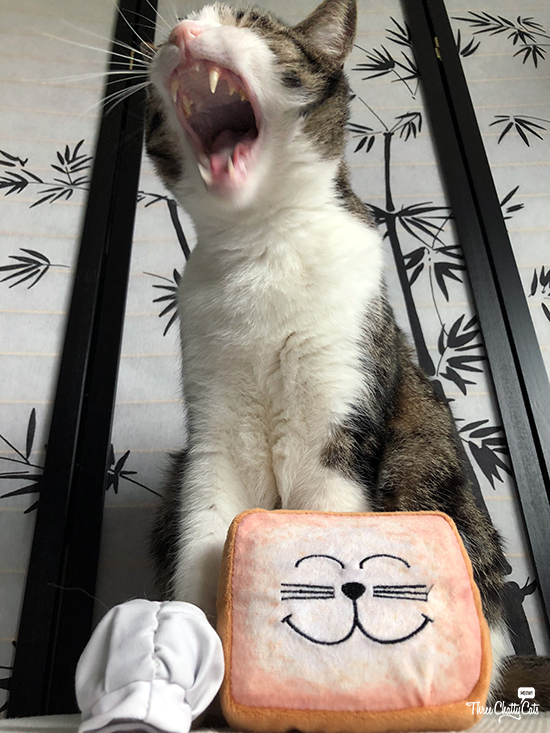 I love the a bread slice and I think Cat Lady Box is wonderful! 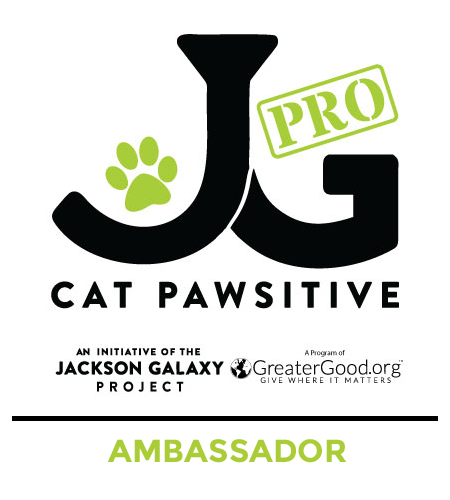 So pawesome that they give back to the community as well! Would love a surprise box! Pretty cool! I haven’t seen these before. I’ve always wanted to try Cat Lady Box! That spoon rest is adorable!!! The cat-shaped spoon rest is really cute. I have thought about the CatLadyBox for a while. Maybe in 2019. . .and the toast is just too cute! Such cute things in November. omg cat lady box! so kawaii! I love that cat nip toys. I love to get my cats fun toys g that look funny when they play with them! I like the spoon rest, although I’d use it to hold other stuff! I keep meaning to sign up for a subscription there and couldn’t afford it before but have to look into it again. I LOVE the items that are chosen for the boxes. Love the slice of bread, chef’s hat and the utensils. So clever! Great review! Ohhh… WANT-WANT-WANT!! I’d sign up but the price conflicts with my current unemployment. I love the items in this box you featured! I love the little chef’s hat toy. Looks like some cool goodies! I love the chef’s hat catnip toy. It’s so cute! I gave my daughter a box for her birthday. It was fantastic! I want this SOOOO bad! I’ve been thinking of getting a subscription and this would definitely be the push I need! We liked the utensils and the dish towels; in fact, we’ve already bought the utensils. TW wishes she could afford a subscription. We’ve known Dorian since 2009 and these boxes look great. I love those utensils and the card! It’s a great giveaway and I can enter! I like the dish towel. I’ve been wanting to get a Crazy Cat Lady Box subscription. I love those utensils! Awesome box. The CatLady Box is amazing! 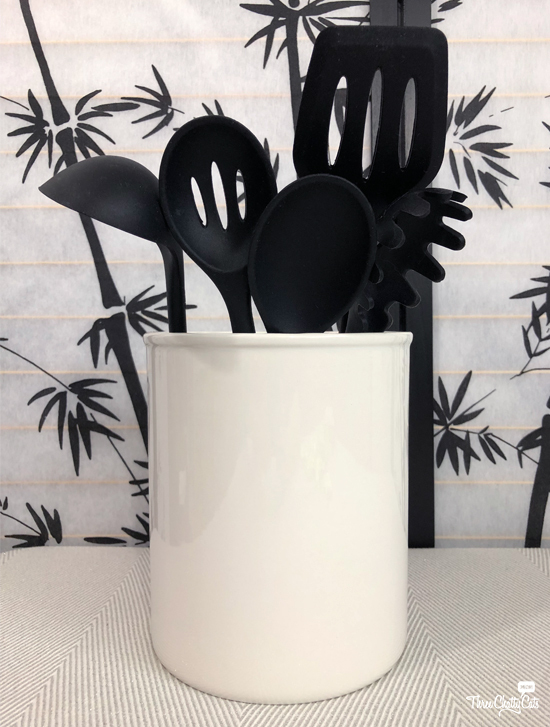 The mom loves those utensils. The utensils & spoon rest are adorable! I like the toast toy the best. Cat lady box toys are great. All my fur kids and fur grandkids live them. What a cute assortment of goodies. 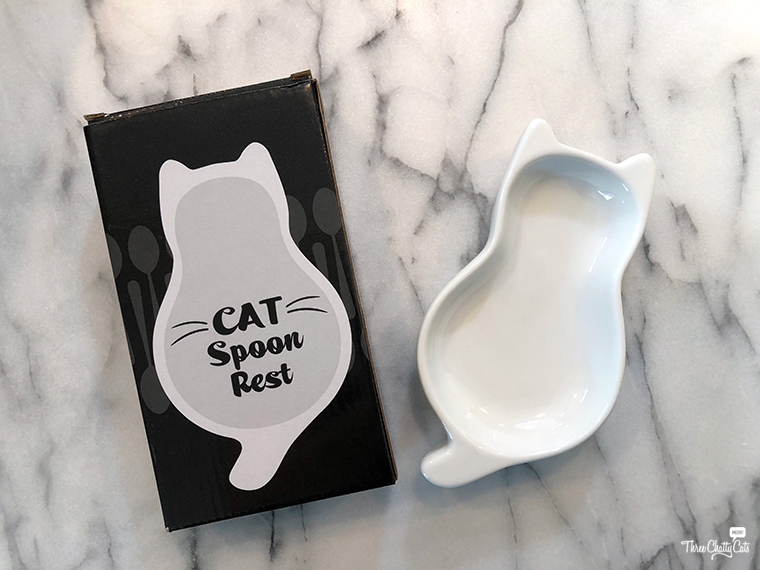 My favorite is the cat-shaped spoon rest (it’s adorable plus i need a spoon rest). i love the spoon rest. i have been wanting to try this subscription box. Crazy, those spoons are too cute! I liked the cat spoon rest. 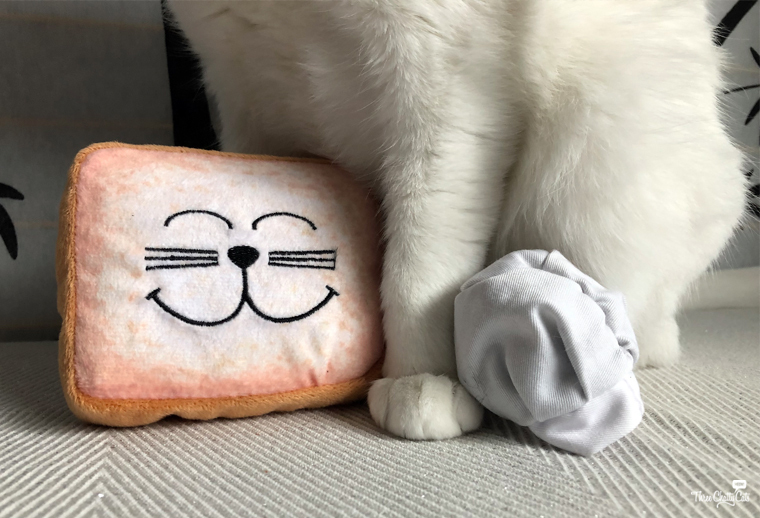 The bread slice cat toy and the towels! I really like everything but I like the kitchen utensils the most. All the items are awesome! I need the kitchen utensils the most plus they are so adorable :) Something I would use daily and would make me smile! Such adorable items. I love the bread slice and the kitchen towels. I think the spoon rest might be the thing I use most, but those UTENSILS ARE AMAZING! This would be fantastic. I have a cat clock on my kitchen wal, and other cat items all over the house.. I would love this! Love all them. Although towels are my favorite. Can’t buy a box now due to unemployment but would love to win a box. 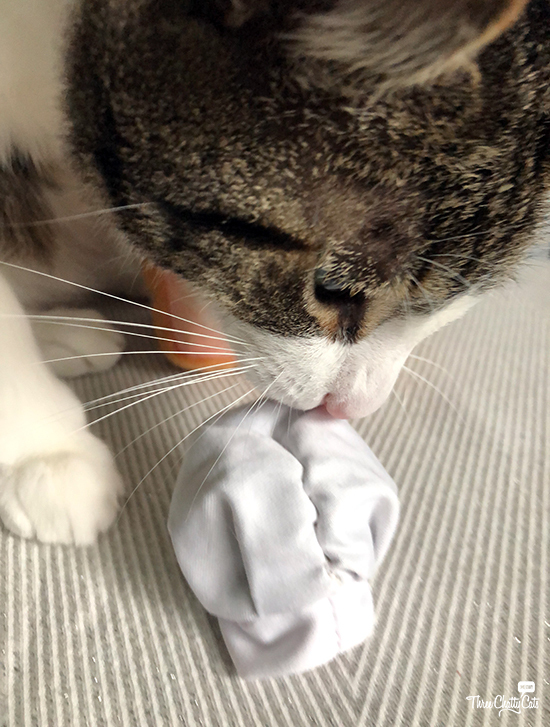 cat toys are cute, cute, cute. I love all of them. Love the little spoon rest. Opening the box every month must be like Christmas mornings! I love everything, but especially the cat spoon rest. I’ve been wanting to get a sppon rest – this would be perfect! Hard to choose a favorite item, but have to say that cat spoon rest wins! Sooo cute, my husband definitely thinks I need this!